Green Belt land is cheap. 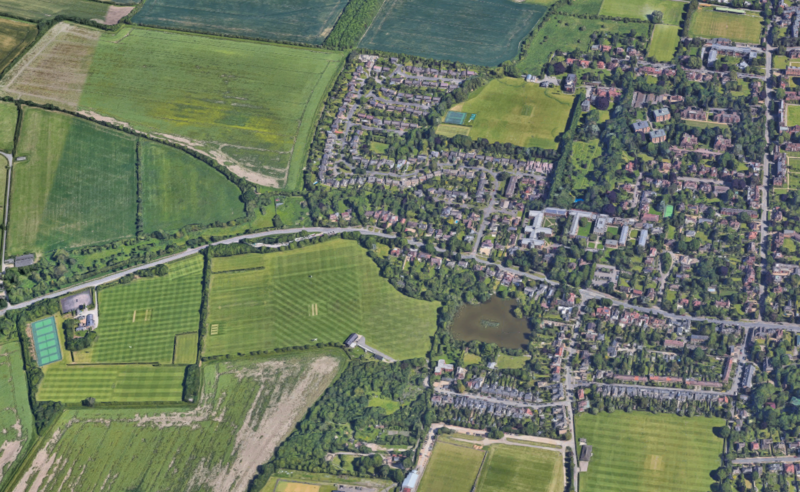 So cheap that at some point along the way, every developer has come across a Green Belt site and had the thought, “if only I could get planning permission… ”. If you know the feeling and want to find out whether it is possible to develop Green Belt land, read on. If you’re a developer or land agent and have no idea what I’m talking about, you really ought to read on. This article is the first of a three-part series about the Green Belt. Tune in next week for a list of councils that have recently released Green Belt land for development. Most developers see the Green Belt as a gross inconvenience. But attitudes are changing. Given the growing demand for housing around cities, some councils are finding themselves in situations where promoting greenbelt land is the only way they can meet their housing needs. This has created a new market in the industry; the strategic land market. Developers across the country are strategically seeking out land in and around the Green Belt with a long-term view. Applications to build an additional 35,000 homes on Green Belt land were submitted last year, taking the total number proposed for construction on protected land to a record 460,000 (Source: The Guardian). They scout out land based on its future potential rather than its immediate payoff. The sites they choose are often greenfield (and sometimes Green Belt) sites at the edge of growing settlements. As the need for housing grows, the argument for land promotion strengthens. They then guide their site through the planning process. Once planning permission is granted they either develop the site themselves or sell it on the market. Given the low cost of land, the payoffs are huge. Before we get into the thick of it, let’s get the jargon out of the way. You’ll need to know these industry terms if you want to navigate the Green Belt and find high margin sites. Brownfield: Sites (land) that have been built on previously, but are now vacant or in need of redevelopment. The government encourage that these sites be re-developed before greenfield or Green Belt land. 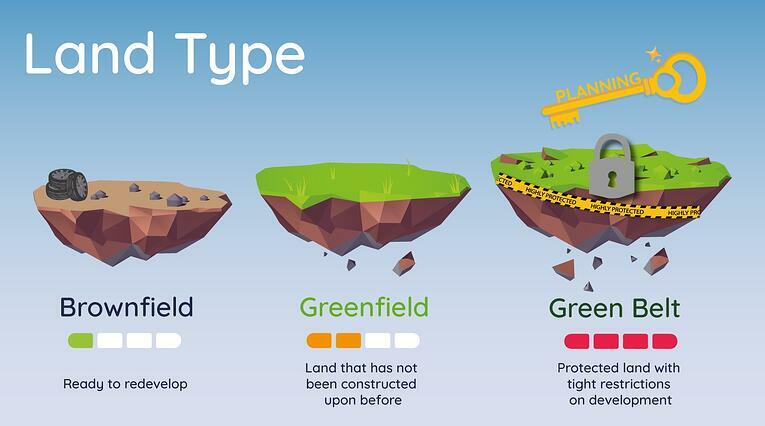 Greenfield: Land that has not been constructed upon before (agricultural/ grassland). Greenfield land is not protected militantly like Green Belt land. Green Belt: Highly protected land with tight restrictions on development. The Green Belt was created to control urban expansion and is basically a ‘no build’ zone. Why would I want to develop on the Green Belt? Green Belt land is cheap. To give you an idea how cheap, lets take a concrete example. This 15 acre site in Epping has a guide price of £145,000 pounds. That’s works out at 22 pence/sqft. The market value for residential land for that area is £570/sqft! Why? I hear you ask. It’s cheap because of the strong building restrictions. If a developer is able to get planning permission to build on land bought at Green Belt prices, they’ll be minted. England’s Green Belt spans 1,634,700 hectares. That’s 13% of England’s total land area. The two largest areas account for almost two thirds of the total area of Green Belt land between them.The Metropolitan Green Belt (London area) accounts for 31% of all Green Belt land. And the Green Belt surrounding Liverpool, Manchester and West Yorkshire account for another 31%. (Source: Ministry of Housing) Both of these areas are growing rapidly and severely stressed for housing. Can I get planning permission on the Green Belt? 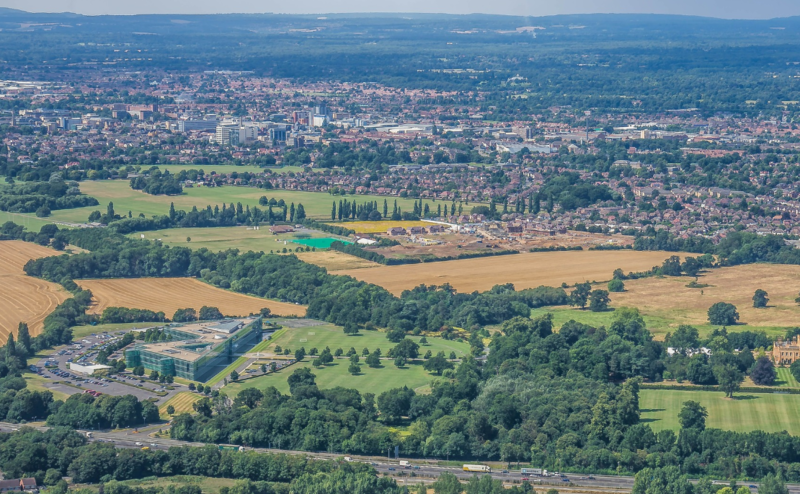 Local planning authorities are extremely cautious about their Green Belt areas and if there is brownfield or greenfield land available that could potentially fulfil the development requirements, they will not grant permission to build on the Green Belt. In cases where councils aren’t on track to fulfil their 5 year housing targets, developers can make arguments for Green Belt land to be released, especially if those developments can’t be built on existing greenfield or brownfield land. However, this process of promoting the land takes a long time and is expensive. Land promoters take a 5-10 year view when they take on a site for promotion. There has been a sharp rise in such applications in the past years and several councils are now reviewing their Green Belt allocation as a whole. In cases where councils aren’t on track to fulfil their 5 year housing targets, developers can make strong arguments for Green Belt land to be released. Promoting Green Belt land takes expertise in planning and needs a long-term vision. But it’s not something to overlook. Savvy developers use PropTech to see which areas have an increased number of applications for development on greenbelt land. This helps them determine which councils are not on track to meet their housing targets. New technologies have made it easier than ever to find land with strategic potential. This market is no longer restricted to large developers with endless resources. Find and assess strategic land using LandInsight, click here for a free trial. 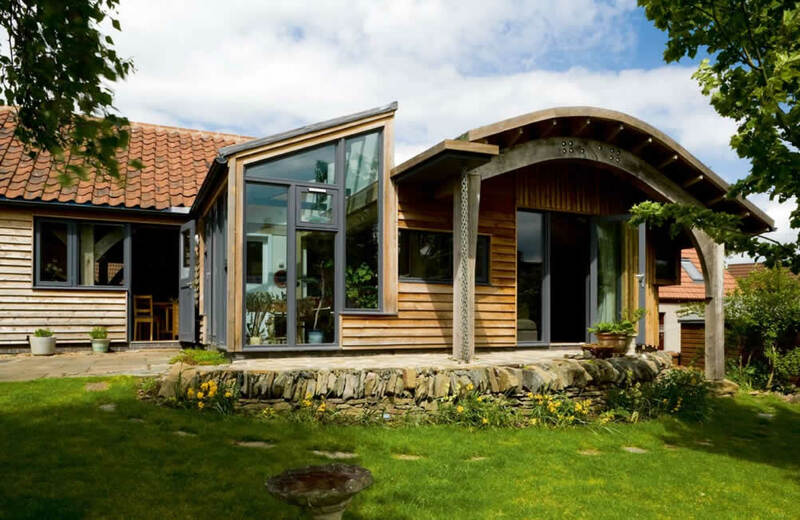 If you can’t afford to take a 5-10 year perspective, you might want to consider building for the ‘eco-homes’ market. As per Para 55 of the National Planning Policy framework, Green Belt planning permission can be granted for ‘truly outstanding and innovative’ developments that ‘raise the standard of design’. Although the market is smaller, sustainable homes that push the envelope in terms of design fetch premium prices. The Neilson Report shows that 66% of millennials consider environmental sustainability when making purchasing decisions and are willing to pay more for the greener option. As more environmentally conscious millennials enter the home buying stage of life, there is reason to believe that the demand for eco-homes will only increase. If you are looking for a traditional development opportunity with a shorter time frame, consider greenfield land. There are thousands of development opportunities outside the greenbelt which are greenfield and brownfield. The strategic land business is largely about finding and promoting greenfield opportunities. If you are looking for a strategic land opportunity with a shorter time frame, consider greenfield land. Greenfield land is still protected and a strong planning application has to be made but it’s far easier to promote than Green Belt land. The rewards on greenfield land are still substantial. What do planning authorities look for? It is important to understand how planning authorities judge land promotion applications. After all, the success of a strategic land project depends on whether or not it gets promoted through the planning system. The key to getting planning permission is to propose a development that helps the local council meet their official local plan goals. "More than anything, planning authorities look to balance the relationship between providing much needed housing and improving local economies, whilst minimising the impact on the environment. That is the very essence of trying to achieve sustainable development." Planning authorities take a holistic view when judging developments. They want to see residents economically and socially involved in the community. Developments that help fulfil that goal have the edge. Where do I start my search for land? There are strategic land opportunities across the country. If you are a local developer and want to stick to your area, you should seek out greenfield and greenbelt land at the edge of settlements. You can then assess those sites based on the criteria above and their commercial viability. If you are not tied down to your area, it is worth assessing the need for housing nationally. The two large metropolitan areas (London & the North West) are deeply stressed for housing, but other areas are not to be ignored. Once you move outside of London’s Green Belt area, you can find smaller towns and villages with good amenities surrounded by greenfield land. Such greenfield sites can also take less time to promote (3-5 years). Either way, you’d want to empower yourself with site finding software so that you can find and assess efficiently. Councils across the country are reviewing their Green Belts based upon the housing needs of their areas. Our next blog post will be about the councils that are reviewing/planning to review their Green Belt policy, so come back in a few days. Afraid you’ll forget? Subscribe to our blog digest newsletter here and we’ll send you all the best articles from the blog on a monthly basis. 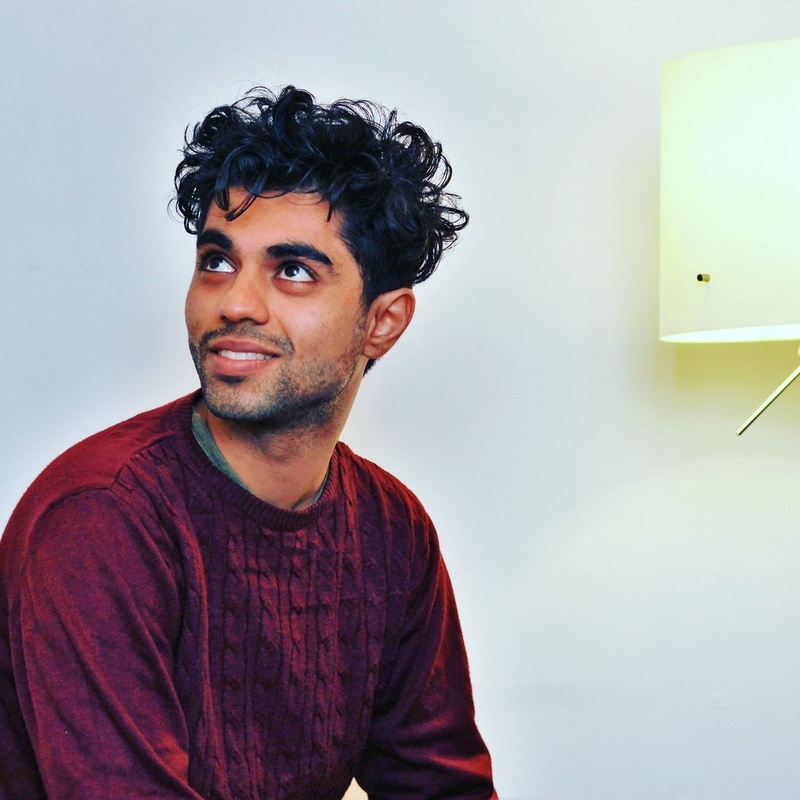 Hemant is an industry analyst and content creator at LandInsight. 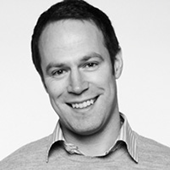 As LandInsight's resident wordsmith, he authors blogs, industry reports, and case studies. Prior to PropTech, Hemant worked in the asset management sector. Surprisingly, he doesn’t like Monopoly. Subscribe to get all our updates straight to your inbox. As it stands, we’re in the middle of a longstanding housing crisis, and its in all of our interests to make finding new land opportunities a simpler and more effective process. LandInsight is the answer. It has been developed to remove the barriers and inefficiencies that result in developers and individual buyers missing out, wasting time and incurring unnecessary costs.